Oregon has 350 miles of wild and pristine coastline. Big uncrowded beaches are joined by rock islands that punctuate rugged coastal scenery on par with the world’s best. Unlike Southern California, the coast of Oregon is mostly undeveloped, with charming seaside towns instead of large beach cities. State parks preserve many beautiful capes and beaches along the coast, offering scenic ocean view hikes. This collection of trails lists hikes roughly from west to east and north to south, but the table may also be sorted alphabetically or by distance to help you pick your next hike. Click on any trail to see a full write-up complete with photos, GPS maps, directions, and all the other information needed to locate and enjoy these hikes. 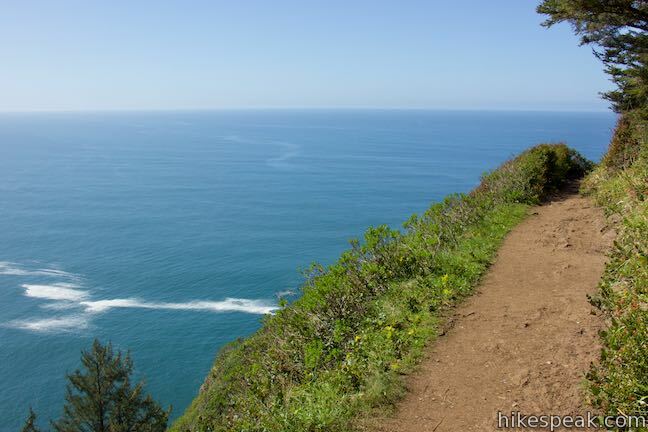 You can also view hikes around Coastal Oregon on the Hike Finder Map.